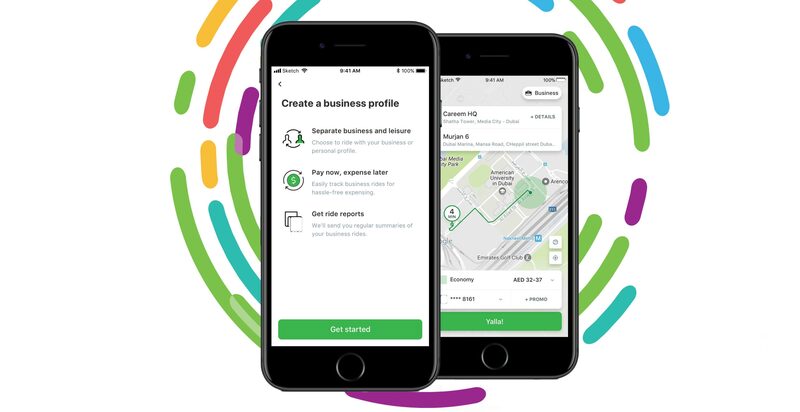 The app that the Captains see is different from the one that Careem customers use, and it performs a different task. How it works, and how well it works, makes a huge difference to our Captain’s experience, income and efficiency. And the more efficient they are, the more they can help you, our passengers. The booking interface had become a little outdated and we needed to improve some of the functions. Similarly, the code needed to be refactored in order to allow us to scale and build new businesses on top of it. To do this, we created Thor. Thor is the codename for the new booking flow on the captain app. We have spent over a year building and testing Thor extensively, and a vast amount of data to support its usability, stability, and effect on important key performance indicators. It now forms the basis of the new ADMA – the app the Captains use – and as such, all the new features that we add will be built on the Thor platform. We redesigned the user interface based on our ongoing discussions with Captains and their experience of using the app. One of the things that Careem has always done is to constantly listen to feedback from our Captains and what they want. As a result, the interface has lots of new features and design elements, from the main map screen with online/offline toggle, to getting a booking, accepting, arriving, starting, ending, collecting cash, and rating customers. It also completely refactors the underlying code for greater stability and ease of debugging. And this re-architecture of ADMA paves the way to modularise it so in future it’s easier to accommodate other verticals. But in the short-term for Captains and passengers the effect of Thor is significant. Thor makes it faster to respond to booking offers, and that increases Captain’s acceptance rates. And because Thor is able to secure more bookings, the Captains end up taking more rides. So far, our results from early testing show an average of two more rides per day for each Captain, which over the course of a month and year can be a significant earning increase. And of course this means that customers will be able to find a Careem when they need one a lot faster. Great for you, the Captains’ earnings and the business.